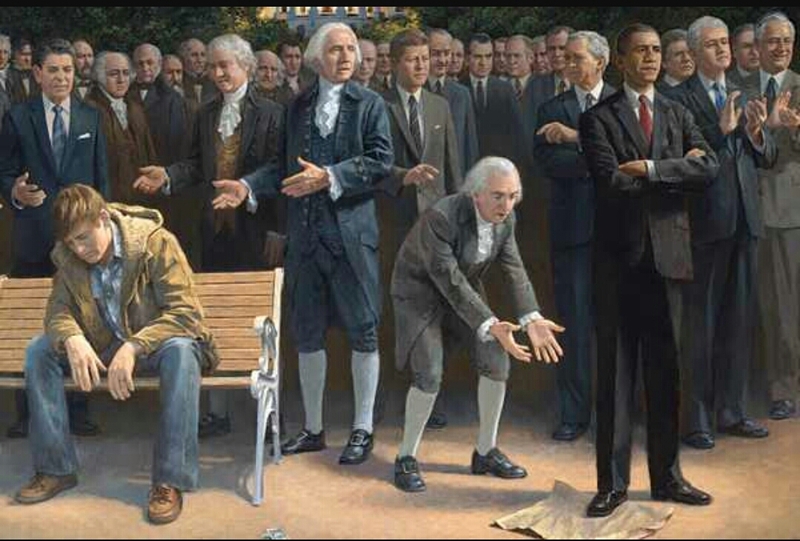 In the above picture entitled “The Forgotten Man,” by artist Jon McNaughton, we see our Constitution being trampled upon by the current president, while past presidents look on in approval. On the left we see the “Forgotten Man,” John Q. Citizen, the one who is being taken advantage of and defrauded. If this picture doesn’t depict the present state of affairs inside of our country today, then I don’t know what does. The question is, whatever happened to “We the People,” who make up this de jure Republic, which consists of a government that is bound by our organic U.S. Constitution; a government of the people, by the people and for the people? In the letter below, written by an Alaskan state judge, you will learn what has happened in history, that defrauded all of us! Now mind you, you will not find any of this mentioned in the major news media, and the reason should be obvious. Who do you think controls the media? On November 28th, 2015, Alaska State Judge Anna von Reitz (Anna Maria Riezinger) addressed an open letter to all federal agents, including the FBI and US Marshals to arrest Congress, the President and the Secretary of the Treasury. She goes into incredible detail on the fraud that has been committed. Anyone who reads this is sure to learn at least something. I am addressing this letter in this way, because it is my understanding that it will be read by members of both the FBI and the US Marshals Service. It is also my understanding that you have available for examination a wet-ink signed copy of the illustrated affidavit of probable cause entitled “You Know Something Is Wrong When…..An American Affidavit of Probable Cause” as back-up reference and evidence. Since the publication of the affidavit a plethora of new supporting documentation and evidence has come to light. We found, for example, that on June 30, 1864, the members of Congress acting as the Board of Directors of a private, mostly foreign-owned corporation, doing business as “The United States of America, Incorporated” changed the meaning of “state”, “State” and “United States” to mean “District of Columbia Municipal Corporation”. Like the 1862 change of the meaning of the word “person” to mean “corporation,” cited in our affidavit, these special coded meanings of words render a drastically different picture of the world around us. It turns out that your “personal bank account” is actually a “corporate bank account”. The “Colorado State Court” is actually the “Colorado District of Columbia Municipal Corporation Court”. If you are shocked to learn these facts, you are not alone. So are millions of other Americans. These changes were made 150 years ago and tucked away in reams of boring meeting minutes and legalistic gobbledygook, meant to be applied only to the internal workings of a private governmental services corporation and its employees. There was no public announcement, just as there was no public announcement or explanation when Congress created “municipal citizenship” known as “US citizenship” in 1868. Properly, technically, even to this day, this form of “citizenship” applies only to those born in the District of Columbia, Guam, Puerto Rico, and other Insular States, so there was no real reason to educate the general public about the topic. As Congress was secretively using the labor and the private property assets of these “citizens” as collateral backing the corporate debts of “The United States of America, Inc.” there was plenty of reason to obscure this development. At the end of the Civil War it would have been very unpopular to reveal that they were simply changing gears from private sector slave ownership to public sector slave ownership. You may be surprised to learn that slavery was not abolished by the Thirteenth or any other Amendment to any constitution then or now. Instead, slavery was redefined as the punishment meted out to criminals. Look it up and read it for yourselves. It remains perfectly legal to enslave criminals, and it was left to Congress to define who the criminals were, because Congress was given plenary power over the District of Columbia and its citizenry, by the original Constitution of the Republic, and could do whatever it liked within the District and the Washington, DC Municipalities. A child picking dandelions on the sidewalk could be arbitrarily defined as a criminal and enslaved for life by the renegade Congress, functioning as the government of the District of Columbia and as the Board of Directors for the District of Columbia Municipal Corporation, but for starters, Congress simply defined “US citizens” as debt slaves under the 14th Amendment of their corporation’s articles and by-laws—-which they deceptively named the “Constitution of the United States of America”. The actual Constitution was and still is called “The Constitution for the united States of America”, but most people untrained in the Law and trusting what they believed to be their government didn’t notice the difference between “The Constitution for the united States of America” and the “Constitution of the United States of America”. Are you beginning to see a pattern of deliberate deceit and self-interest and double-speak and double-dealing? And are you also beginning to catch the drift—the motivation—behind it? Let’s discuss the concept of “hypothecation of debt”. This little gem was developed by the bankers who actually owned and ran the governmental services corporations, doing business as “The United States of America, Inc.” and as the “United States, Incorporated”. When you hypothecate debt against someone or against some asset, belonging to someone else, you simply claim that they agreed to stand as surety for your debt — similar to cosigning a car loan — and as long as you make your payments, nobody is any the wiser. Normally, it’s not possible for us to just arbitrarily claim that someone is our surety for debt without proof of consent, but that is exactly what Franklin Delano Roosevelt and the Conference of Governors did in March of 1933. They named all of us and all our property as surety standing good for the debts of their own bankrupt governmental services corporation during bankruptcy reorganization—-and got away with it by claiming that they were our “representatives” and that we had delegated our authority to them to do this “for” us. The exact date and occasion when this happened and where it is recorded, is given in our affidavit. In order to pull this off, however, they had to allege that we were all “US citizens”, and therefore, all subject to the plenary power of Congress, acting as an oligarchy ruling over the District of Columbia and the Federal Territories. They did this by abusing the public trust and creating and registering millions of foreign situs trusts, named after each of us. Under their own diversity of citizenship rules, corporations are considered to be “US citizens”. So they created all these foreign situs trusts as franchises of their own bankrupt corporation, used our names styled like this: John Quincy Adams—-and placed commercial liens against our names as chattel owned by their corporation and standing as surety for its debts. A group of thugs elected to political office grossly transgressed against the American people and the American states and committed the crime of personage against each and every one of us without us ever being aware of it. They couldn’t enslave us, but they could enslave a foreign situs trust named after us— that we conveniently didn’t know existed— and by deliberately confusing this “thing” with us via the misuse of our given names, they could bring charges against what appeared to be us and our private property in their very own corporate tribunals. And so the fleecing of America began in earnest. The hirelings had our credit cards, had stolen our identities, and were ready to begin a crime spree unheralded in human history. They claimed that we all knew about this arrangement and consented to it, because we “voluntarily” gave up our gold when FDR sent his henchmen around to collect it—-when as millions of Americans can attest, people gave up their gold in preference to being shot or having to kill federal agents. They chose life for everyone concerned over some pieces of metal, and for that, they are to be honored; unfortunately, their decision gave the rats responsible an excuse to claim that Americans wanted to leave the gold standard and wanted the “benefits” of this New Deal in “equitable exchange” for their gold, their identities, the abuse of their good names as bankrupts and debtors, the loss of allodial title to their land and homes, and their subjection as slaves to the whims of Congress. According to them—that is, those who benefited from this gross betrayal of the public trust— we all voluntarily left the Republic and the guarantees of the actual Constitution behind, willingly subjected ourselves to Congressional rule, donated all our assets, including our labor and property, to the Public Charitable Trust (set up after the Civil War as a welfare trust for displaced plantation slaves), and agreed to live as slaves owned by the District of Columbia Municipal Corporation in exchange for what? Welfare that we paid for ourselves. Social Security that we paid for ourselves. The criminality of the “US Congress” and the “Presidents” acting since 1933 is jawdroppingly shocking. Their abuse of the trust of the American people is even worse. They have portrayed this circumstance as a political choice instead of an institutionalized fraud scheme, and they have “presumed” that we all went along with it and agreed to it without complaint. Thus, they have been merrily and secretively having us declared “civilly dead” as American State Citizens the day we are born, and entering a false registration claiming that we are “US Citizens” instead. We are told, when we wake up enough to ask, that we are free to choose our political status. We don’t have to serve as debt slaves. We can go back and reclaim our guaranteed Republican form of government and our birthright status if we want to—- but that requires a secret process in front of the probate court and expatriation from the Federal United States to the Continental United States and all sorts of voo-doo in backrooms that can only be pursued by the few and the knowledgeable and the blessed. Everyone else has to remain as a debt slave and chattel serving whatever corporation bought the latest version of corporate “persona” named after us. So let me ask you, as members of the FBI and as US Marshals—- does this sound like something you want to be involved with enforcing on innocent people, or does it sound like something you want to end as expeditiously as possible? The frauds that took root in the wake of the Civil War and which blossomed in the 1930’s have come to their final fruition. We are standing up before the whole world and telling these privately owned “governmental services corporations” to go bankrupt like any other corporation that doesn’t do its job and mind its budget. These entities deserve to go bankrupt and worse. They have spent money and credit that was never theirs to spend. They have defrauded millions if not billions of innocent people and they have prevented Americans from claiming their birthrights for far too long. These people— the members of Congress and the various “Presidents” of the numerous “United States” corporations — have acted as criminals. They deserve to be recognized as such. The members of the American Bar Association have attempted to wash their hands while profiting from the situation and obstructing justice. They stand around shrugging and saying, “Well, it’s a political choice. We don’t have anything to say about that.”—–yet at the same time, they refuse to correct the probate records to reflect our chosen change of political status when we plainly identify ourselves and enunciate our Will for them. They, too, deserve to be recognized as self-interested criminals and accomplices to identity theft, credit fraud, and worse— which is why we have recently issued a $279 trillion dollar commercial obligation lien against the American Bar Association, the International Bar Association, and the DEPARTMENT OF JUSTICE. All our assets— our bodies, homes, businesses, lands, and labor—have been signed over into the “Public Charitable Trust” by con men merely claiming to represent us. Then, when we object to their lies and entrapment, they use the same fraud against us as their excuse for bringing more false claims against us and throwing us in jail. The British Monarch and the Lords of the Admiralty have promoted this fraud against us at the same time they have claimed to be our trustees, allies and friends in perpetuity. It’s time to clear the way for us to politely and peaceably exit from any presumption that we are or ever were “US citizens”, willing participants in the “Public Charitable Trust”, or willing “sureties” for the debts of any private bank-run governmental services corporation merely calling itself the United States of Something or Other. As for you, as “Federal Agents”, you have a lot to think about. For starters— who really pays your paycheck? Is it the goons in Washington, DC? Or does it all come from the American people you are supposed to be serving? Do you believe for one moment that anyone just lined up and gave their gold to FDR voluntarily? Do you believe that anyone gave away all their property and the guarantees of the actual Constitution for the “privilege” of paying for Social Security? No? Wake up and smell the java and start doing your real jobs. We are reopening the American Common Law Courts expressly for the purpose of settling disputes related to living people and their property assets in excess of $20 as mandated by the Seventh Amendment. We, the American people, are the ones holding absolute civil authority upon the land of the Continental United States, and we give you permission to arrest the members of Congress, the President, the Secretary of the Treasury, and any other politician or appointee pretending to speak for us, so as to enslave us and bring false claims against us via this institutionalized fraud scheme. We want it recognized for what it is and dismantled and repudiated tout de suite. Any court that is caught arresting and prosecuting Americans under the presumptions just described to you— such as bringing charges against foreign situs trusts with names styled like this: John Quincy Adams, or Cestui Que Vie trusts styled like this: JOHN QUINCY ADAMS, or Puerto Rican public transmitting utilities styled like this: JOHN Q. ADAMS—-it is your responsibility to make sure that any individuals being addressed by these courts were actually born in the District of Columbia, Guam, Puerto Rico, or one of the other Insular States and that they are not ignorant American State Citizens being falsely registered and railroaded. Is it now completely clear who the criminals are? Your actual employers and benefactors are being attacked and defrauded by criminals pretending to act as their elected representatives and accomplices in black robes who are serving as enforcers of this fraud for profit. This has been happening right under your noses. This whole circumstance has escaped broad scale public understanding because it was being pursued by private governmental services corporations, owned and operated by international banking cartels who claimed that these “private arrangements” were none of the public’s business, despite the grotesque and far-ranging impact these cozy understandings have had upon the people of this and many other countries. Let it be perfectly clear to you that the business of these private corporations has become our business because they have operated in violation of their charters, in violation of the treaties allowing their existence, and in violation of the National Trust. The American Bar Association and the Internal Revenue Service have both been owned and operated as private foreign bill collectors and trust administrators by Northern Trust, Inc., in violent conflict of interest. They are not professional associations, non-profits, nor units of government. They are con artists and privateers whose licenses expired as of September 1, 2013. The United States Marshals Service is enabled to act in the capacity of constitutionally – sworn Federal Marshals and we invoke their office and service as such; failure to accept the public office means rejection of all authority related to us. The same may be said of the FBI. Either you do your jobs as constitutionally sworn public officers, or you act as private mall cops in behalf of the offending corporations and under color of law when you pretend to have any public authority or function. I and others have been beating this drum for a very long time and it’s so good to finally see someone in the judicial system who is telling the truth. Our founding fathers and even JFK warned us about what was going on, and that’s what eventually got him assassinated. The Bible tells us that, as God’s people, we are defeated for lack of knowledge. Certainly I think that is a fair description of where we are today, in America. The truth is, and this is true for all of us, that we don’t know what we don’t know, until we are taught. Our Lord clearly warned us that the sons of disobedience, who rule in this world, are wiser and are more cunning in their ways and methods, than are the sons of righteousness; and He admonished us that we need to become wise as serpents and yet harmless as doves. 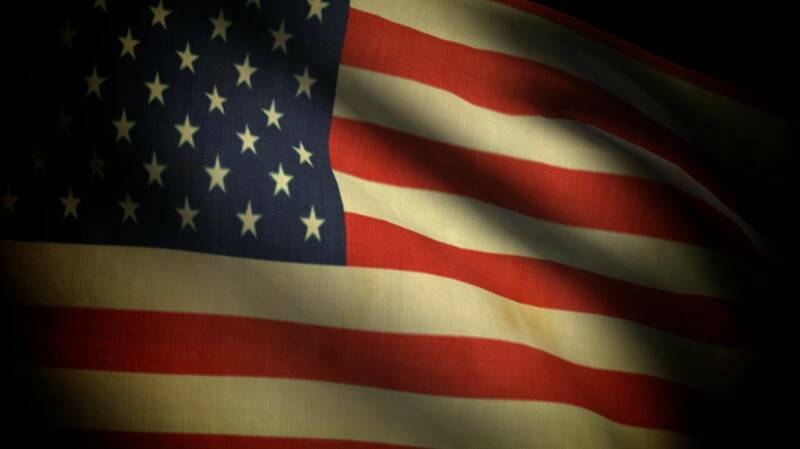 You may not know that the Republic for the united states of America was actually re-inhabited in March 2010. Whatever you do, don’t just sit back and keep your head in the sand, while these criminals in Washington DC steal your country right out from underneath your nose!